God bless all the Heaven angels! "You have some nice surprises in store for you." HEAVEN #2424 What is Your Heart's Longing, Beloved? From 28 States in U.S.
Be sure to read all the comments! They are fantastic. Under Am I Old-Fashioned? is a comment from Mariaemma who really gets out there and is changing the educational system where it needs changing. Under Freedom are more comments by Lady Isis that need to be heard. All the comments are marvelous. I have said before and will say it again: I think we can become enlightened by reading the comments. 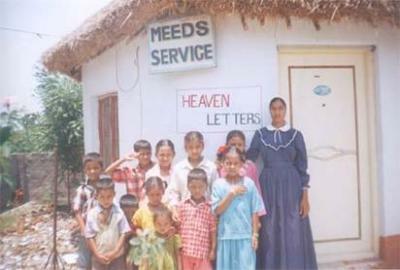 These are extraordinary people who read Heavenletters and post their comments. 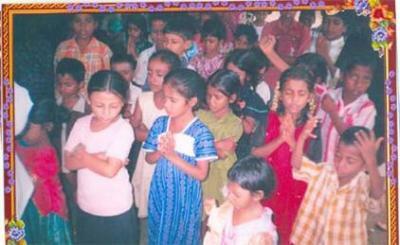 Here are the contact details for the Kambala, the director of the childrens care centre in India . Davidpaul Doyle is compiling stories of personal spiritual journeys for an anthology entitled: 101 Everyday People Who Hear from God. My story has been accepted for this anthology. Davidpaul is extremely conscientious. He gave me some excellent suggestions. At the same time, I’m afraid I gave Davidpaul a hard time because I would not allow his editor to change my writing nor would I agree to the release form as it was written.If you have any questions, you can certainly email Davidpaul or post a question to me on the Heavenletter Spiritual Community Forum or press the Add Comment link at the end of this Heaven News! Note: When your story is accepted for the anthology, we will have to take your story out of the forum so there isn’t any conflict, but, meanwhile, it will be wonderful to read your story. Be sure to post a note letting us know your story has been accepted, so we know when to remove your story. It’s so amazing to me how everyone’s story is unique. One God, and yet so many paths to God. One morning I counted – before 8 a.m. I had answered 37 emails! . The time has come where there is so much email, I simply can’t personally respond. At the same time, I absolutely want to hear what you have to say. Kindly post your comments on the forum and/or the Heaven blog. That way, you can express yourself. I will read what you write, and many Heavenletters will have the privilege of reading what you write too. This is the perfect world! At the end of this Heaven News, too, there is a link that says: "Add Comment." Heaven’s tech angels have thought of everything. Much gratitude to you for posting your comments. The way Heavenletters has exploded throughout the world is nothing short of a miracle! 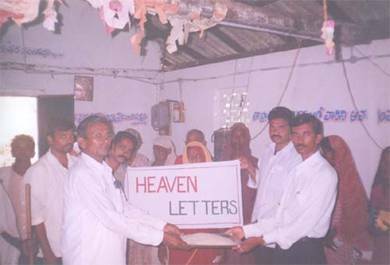 What a blessing it has been to see how Heavenletters has made its way into the hearts and minds of beings all over this planet since its quiet beginning!! Congratulations Gloria, for your years of devoted work and service! With love, I AM . . . . Blessed Betty, what a delight to hear from you! Are you in Kuai? What is happening for you? It is an amazing symphony we are in...each morning I wake up and go to read your message...I find the words I have given the day before written in the text that is from You. Beloved Anna Maria, an amazing symphony, yes! And God speaks to you, and you recognize each day's Heavenletter as familiar. Certainly, God is speaking to all our hearts. Thank you for posting, angel. Thanks, Gloria, for the announcement about our upcoming new book, 101 Everyday People Who Hear God's Voice. I appreciate your support. By the way, I really like the look and feel of your newsletter. Nice job! Do you have a specific person who handles all of your website work? I may want to contact him or her. I'm excited about all of the amazing stories we have for the book, and I'm grateful for the wonderful story that you submitted. Thank you for all that you do to bring God's loving voice to so many people all over the world.